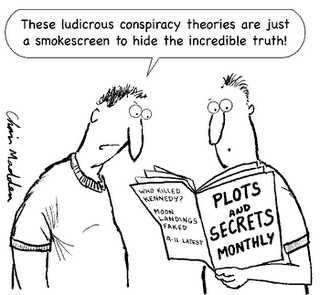 In the mood for a conspiracy theory? The menu is vast: Russian hackers, Trump’s election, the landing on the moon, Area 51. But I have a biggie: the rise of Christianity. The growth of the world’s largest faith seems obvious now, with the benefit of hindsight and churches dotting every other corner (almost literally, here in Rome at least.) But if you look closer, the historic rise of the Christian faith seems more enigmatic than Swiss bank accounts: how could such a faith grow after the death of its leader? How do you explain Christian success after Christ’s failure? If you look at it realistically, Jesus was a very unattractive messiah to believe in. He was a peasant who lived in an obscure corner of the Roman Empire. He offered eternal life but died tragically, executed like the worst criminals, like someone on an electric chair today. So why didn’t Christianity die with the death of its leader? What relaunched the Christian movement and drove its growth? What moved people to believe in Jesus after he was crucified? The Christian response is that Jesus came back to life, showed himself to people, and so faith in him was reignited: “on the third day he rose from the dead.” Oh right! Here comes the fairy tale! 1. Wrong tomb: some people explain that the disciples went to the wrong tomb and, not finding the body of Jesus, concluded he was risen. Clean and simple explanation, eh? But if that was the case, the authorities should just show the right tomb with Jesus’ corpse, and the mistake would be cleared out. 2. Jesus didn’t really die: others say that Jesus did not really die, and after regaining strength, he exited the tomb and people thought he was risen. 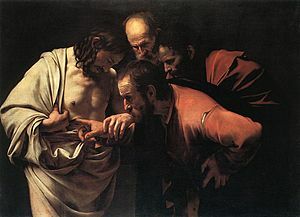 But that could be the case say, if Jesus had been poisoned in a hidden room and not many people had inspected his body. Jesus’ death was visible and public, however, and people for and against his message buried him. Besides, when a solder struck his side, blood and water came out: the separation of coagulated blood is a medical evidence of death. 3. 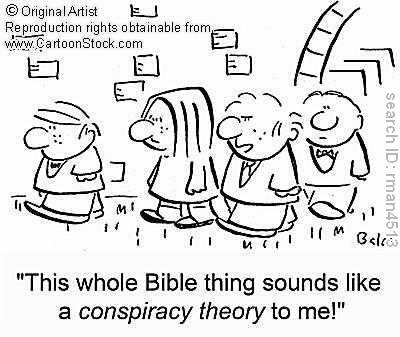 Disciple’s conspiracy: others say that the disciples wanted to promote faith in Jesus so much that they secretly stole the body, and started preaching that he was risen. But the problem here is that the disciples gave their lives for this conviction, and were tortured and killed for preaching that Jesus was God and was alive. Trick-or-treat every now and then is fun, but nobody would have suffered so much and so long for a lie. They were absolutely convinced that Jesus was indeed risen. 4. Collective hallucination: a last theory suggests that the disciples were so psychologically shocked with Jesus’ death that they had hallucinations and thought they had encountered Jesus after he died. However, Jesus appeared to hundreds of people, sometimes to a few individuals, once to more than 500 people, and appeared to people in numerous occasions and repeated times. It is highly unlike that all of them had the same hallucination at once, and that all agreed on the details. Moreover, Jesus appeared after he died also to people who opposed him, like Paul on the road to Damascus, and who did not expect to meet him at all. The best explanation for the change of mind in the disciples was that Jesus was truly raised from the dead. Can you think of any other explanation? No other theory but a historic resurrection explains adequately the rebirth of Christianity after Jesus’ death. Well put Rene, although the argument I hear most often these days from the theological left is that the resurrection happened, but it wasn’t bodily (or if it was, that is irrelevant). I think it’s John Dominic Crossan who says, “Faith was raised on Easter morning.” I heard him say in a lecture once, “If they dig up Jesus’s body tomorrow, I will still believe in the resurrection.’ Similarly Marcus Borg sidesteps questions about the bodily resurrection to talk instead of metaphorical nuances and meaning of the resurrection. I think the argument you sketch above answers materialistic objections to the resurrection, but I think we also need to articulate an apologetic in defense of the trends towards over-spiritualizing and making subjective Christ’s bodily resurrection. How does this resurrection of Jesus impoct our personal and social lives? What does it mean to the billions of people in the world who don’t call themselves Christians?